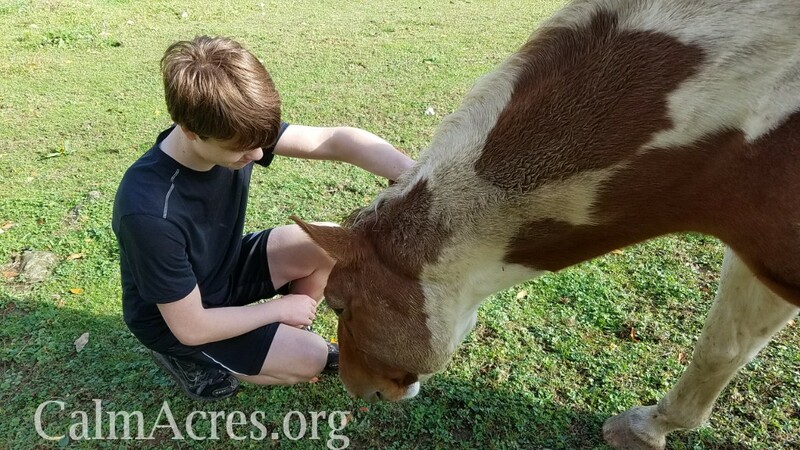 Equine Facilitated Learning provides an experience with an animal that is non-judgmental, gives affection unconditionally, and provides opportunities for physical and emotional growth. This includes strengthening muscles through grooming, barn chores and general work around the horses. Horses promote confidence and self-esteem while motivating people with a disability to interact and get stronger. Horses give people with a disability an opportunity to connect with another living being, as well as the other members of their team. This is extremely important to any individual’s development. 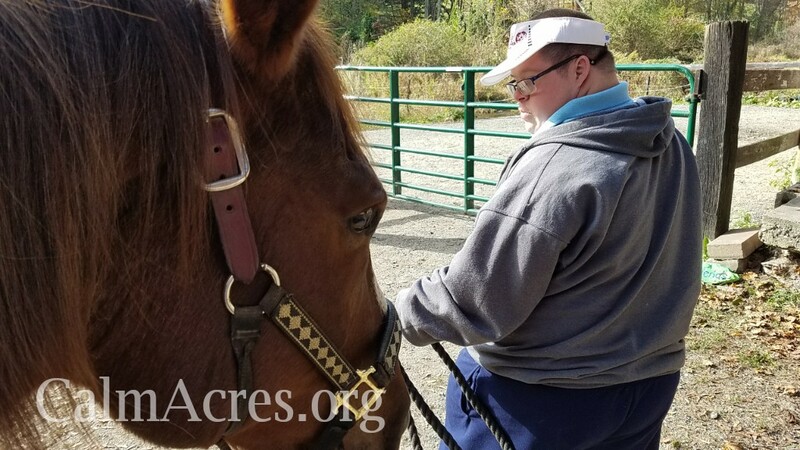 For individuals with a disability, this companionship (both with their horse and with other participants) is particularly invaluable, as they may struggle to make friends with peers their own age because of low self-esteem. 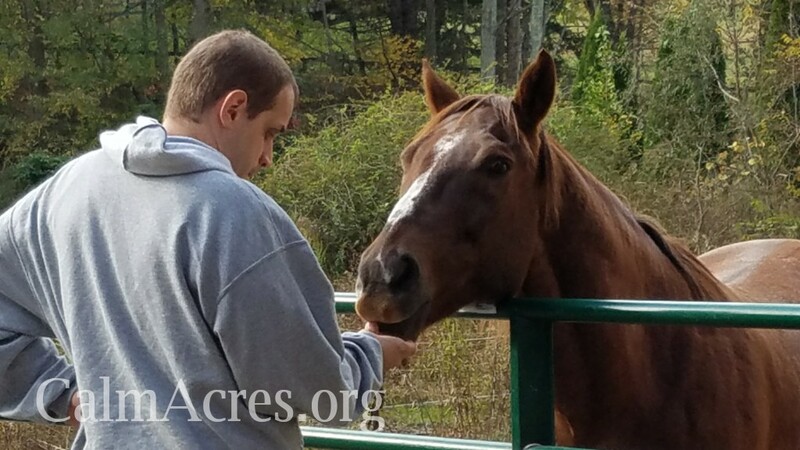 There are also undeniable, positive psychological benefits to equine assisted sessions. First, there's the simple act of being outdoors, breathing in the fresh air, hearing the birds and interacting with nature. Then there's the interaction with the horse itself. Horses are non-judgmental...they bring no prejudices to the process. Finally, there's the boost in self-esteem when an individual who has had difficulty controlling their body or mind learns to control a 1,500 pound creature that definitely has a mind of its own. No matter what one chooses to call this work, it is a powerful process that cannot be replicated mechanically. 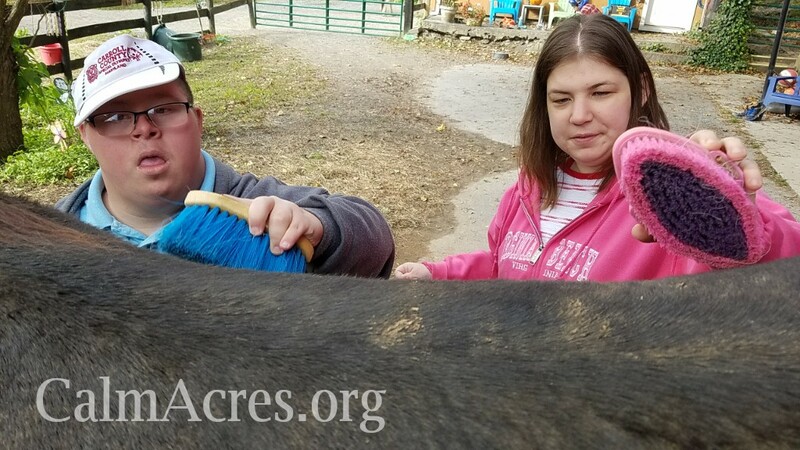 Just about anyone with a disability (or not) will benefit from participating in equine facilitated learning and activities. We offer a variety of experiences and activities that help us stand out in the crowd. 1:1 interaction - While we welcome group and peer interaction, we also realize that sometimes that type of interaction can be uncomfortable for all individuals. Each session is customized to the individual we are helping. When the appropriate opportunity arises, we work to include other individuals in a session. Craft Barn - Sometimes we are unable to work with the horses due to inclement weather. Our Craft Barn gives us a place to escape the weather and create. Art, projects, crafts and musical instruments give us many meaningful activities to engage our creative side. Most of the items we create are used on the farm. Enclosed Sensory Trail - We have created a sensory trail for rides and hikes with the horses. During the guided trail ride or hike, individuals are able to experience the many colors, sounds and smells of nature. We have also included wind chimes, flags, pin wheels and kites for increased sensory input. Sensory Swing - We have included a sensory swing on the trail. Equipped with both a belt swing and a platform swing, the Sensory Swing offers a place where individuals can enjoy a sensory activity in the heart of the woods. Raised Garden Bed - We have added a raised garden bed where visitors can help tend the garden. We have planted carrots and tomatoes and have plans to add herbs, and colorful flowers. Taking care of the garden gives a sense of inclusion and picking items to feed the horses adds a bonus activity. Our Horses - Our horses have been involved in this work for several years. They are completely tuned in to the needs of our visitors. They are safe, gentle and sensitive. Our horses are the calm makers at Calm Acres. © 2013 Calm Acres at Meadow Creek Farm, LLC • 443.508.8005 • All rights reserved. Picture Window theme. Powered by Blogger.